EnviroCloth®, grape The perfect all-purpose cloth and our best seller! Birthday Window Cloth 2018 – Leaves Our hardworking Window Cloth gets windows, mirrors, shower doors, glass tables, crystal, granite countertops, jewelry, brushed and stainless steel, chrome, knickknacks, patio tables and shiny surfaces sparkling clean with only water. 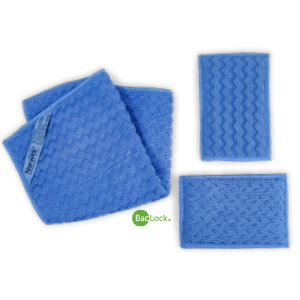 Travel Pack, lilac & mango (set of 4 cloths)Each of the four Norwex antibacterial Microfiber cloths in our Travel Pack removes dust, dirt and grease from all washable surfaces using only water—no chemicals! These super-absorbent, compact EnviroCloths trap dust particles inside until they are rinsed out. Then BacLock®* in the cloth—our micro silver antibacterial agent—goes to work to self-purify and inhibit bacterial odors, mold and mildew growth within each cloth. Liquid Laundry Detergent 500ml/16ozOur Liquid Laundry Detergent is tough on dirt, not the environment. Designed for today’s active families, our readily biodegradable, ultraconcentrated, enzyme-based Liquid Laundry Detergent delivers potent effectiveness against your toughest odors and stains. Using only ¼ the amount of most leading brands, it works in both high-efficiency as well as conventional machines to effectively help reduce all kinds of odors and stains with just a few pumps. You’ll be tempted to use more, but don’t—a little bit goes a long way! Available from noon, CST, December 18 to noon, CST, December 20, 2018. Quantities are limited and offer is available while supplies last. Thank you, in advance, for your support! Have a blessed day! Get in on this deal soon because it ends in 2 days! Order today! Take advantage of this 2-day Flash Sale and you can get the limited-edition blue Window Cloth and the limited-edition blue and green EnviroSponges 2-pack for only $31.98 (regularly $39.98). That’s a 20% savings! This offer is available while supplies last from noon, CDT, September 12 to noon, CDT, September 14, 2018. And if you go to the link above and check out my Norwex page, you can subscribe to my newsletter, in the upper right hand corner (under my picture) and then you’ll get notice when I set up my own parties, sales and giveaways! 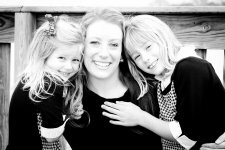 Thankful, grateful and blessed to have a product like Norwex! 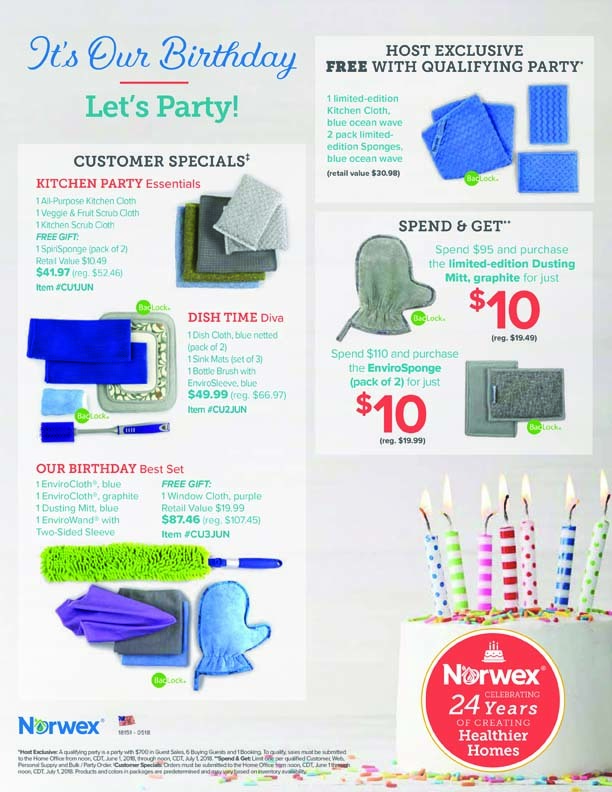 Norwex Flash Sale -Kitchen Cloth-ends tomorrow @ noon! Hi everyone! So honestly, I have not tried these clothes, but I have not been disappointed with ANYTHING from Norwex! If you try it, give me some feedback and let me know what you think! 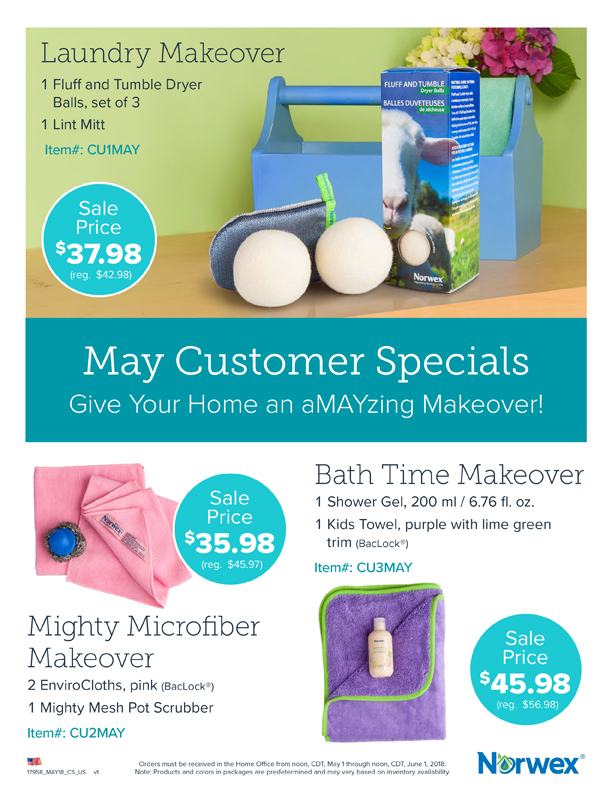 Check out my Norwex section on my site to learn more and order!